Deloitte is helping companies run smarter. 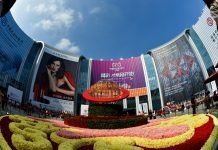 The China International Import Expo (CIIE) is just around the corner now, with importers from all over the world already bringing their goods through customs, but one company is focusing on what is already in China. Deloitte is here to help enterprises dig through the data so they can run faster and farther. Today’s competitive business landscape is all about who can make the smarter moves, and that requires digging through mountains of data; mountains that are much more mountainous in a place like China. Liu Minghua is the innovation partner and East China general manager of Deloitte, here to share some of the process behind keeping up in the digital era. It’s not just about making the sale anymore, but processing the data around that sale so you can make the next one, and in an environment where the deal-making will be fast and furious like the CIIE, that ability will be worth its weight in gold.